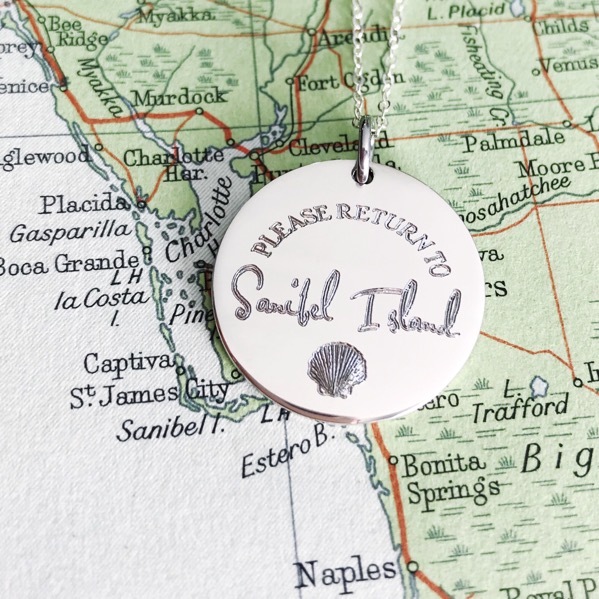 Please Return to Sanibel This 7/8” sterling silver pendant is the perfect reminder of your favorite destination. 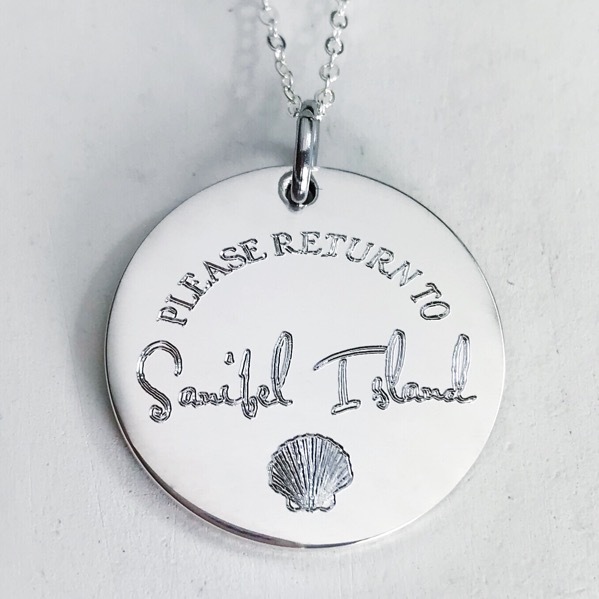 Want a different location on your necklace? I can do it. Just send me a message or order this item and leave your preference in the notes.